After a record long shutdown, President Donald Trump re-opened the government after 35 days. Trump had two re-opening options, and in my opinion, he used the better one; the one that no one expected until hours before. This move was to create a partial plan to pass through The House and Senate in the attempt to unfreeze negotiations for his infamous border wall while also continuing the normal day-to-day operations of The Federal Government. The important thing to know about this plan is that it is only for “a couple of weeks”, so it’s not permanent. In other words, the government is guaranteed to be shutdown once again within the next couple of weeks. The other option Trump had, which I describe in episode 64 of The Jay Doherty Podcast, was to declare a “National Emergency” and basically tap into the country’s emergency fund. While this is a potential option for Trump, it is unlikely that he will ever use this tremendous power as the lack of wall is not a national emergency, and assuming negotiations go well, it will be unnecessary. Other than the chaotic month The White House has just gone through, there is really no other point to make in this story other than the fact that Trump caved. He caved. After his obsession with the border wall for 35 days, Trump re-opened the government with no money. In my very humble opinion, I think this should have happened in the beginning. Although, it’s not open permanently, at least yet. 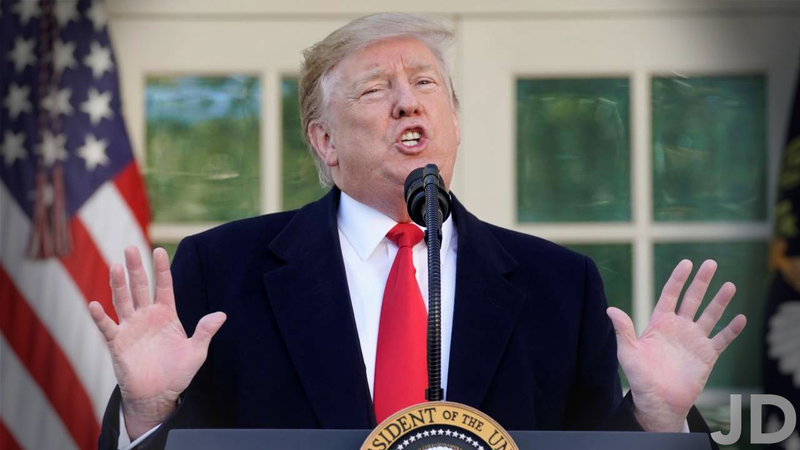 Trump has said if he cannot reach a deal with the democrats by February 15, 2019, he will either shutdown the government again OR declare a national emergency OR both. That’s where the government stands right now. This is an ongoing story that will continuously be updated. Check back or sign up for email notifications to constantly be updated on this story and more.